I just got back from a mini-vacation: Six days visiting New York City, from a home base in Staten Island. During much of that trip, conversation centered on November’s presidential election. Which brings up Matthew 13:44-52, the Gospel for this morning’s Daily Office. No matter who half “plus one” of the American people elect as their next president, the rest of those voters will think we are about to embark on another “long national nightmare.” Put another way, no matter who the next president is, he or she is going to face intense – if not rabid – opposition from close to half the American people. If you think I’m exaggerating, check these four links: For Trump, Trump presidency would be a ‘nightmare,’ says Joseph Stiglitz, and The Trump nightmare is real. Clinton could lose this. From the other side of the aisle, consider these: The Nightmare World of a Hillary Clinton Presidency, and A Clinton Presidency: Humanity’s Worst Nightmare. Or you could Google the term “presidency nightmare,” and add either candidate’s name. We’ve been through worse before! Think the American Civil War. Think the Great Depression. Or think about the episode in our national history that led to the “long national nightmare” quote in the first place. My fellow Americans, our long national nightmare is over. Our Constitution works; our great Republic is a government of laws and not of men. Here the people rule. But there is a higher Power, by whatever name we honor Him, who ordains not only righteousness but love, not only justice but mercy. For one thing, there’s the fact that – no matter who wins – he or she will face rabid opposition from at least 40% of the American electorate. That alone means neither Donald Trump nor Hillary Clinton will be able to do as much damage as their opponents argue. And third, I feel it’s my duty as an ostensibly-good Christian to take the high road. Which seems to indicate the candidate who offers hope rather than fear will win. (Think Ronald Reagan.) And that post included some other interesting observations, at least to me. But those observations don’t get us any closer to taking the high road. [People:] I will, with God’s help. As far as the latter part of the quoted part of the covenant – especially the part about respecting the dignity of every human being – consider Governor Arnold Schwarzenegger. When he first took office, Arnold was something of a blowhard himself. In one notable example, he characterized opponents in the legislature of California as girlie men, in a battle over the state budget. And who knows? Maybe the next president too will eventually “move towards a more politically moderate position.” More moderate, that is, than his or her political opponents think possible. (but later had to retract his girlie men comment). The “Jimmy Carter” image is courtesy of ussporthistory.com. See also Jimmy Carter’s Collapse in a Maryland Road Race Sparks a Moment of Fear. The quotes from the “Baptismal Covenant” are courtesy of The (Online) Book of Common Prayer, at the link Holy Baptism, at pages 304-305. The lower image is courtesy of giphy.com. This entry was posted in Daily Office readings on September 26, 2016 by dorscribe@aol.com. I started a mini-vacation back on Wednesday, September 14. (To Staten Island, as a base for visits to New York City.) During that time I’ve also been keeping up with the Daily Office Readings. On that note, starting Friday, September 16, “Daily” Readers have had a choice of Old Testament readings. * (The OT readings for September 16 were either Esther 1:1-4,10-19 or Judith 4:1-15.) 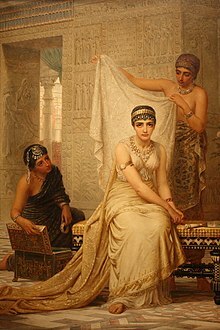 In other words, the September 16 readings marked the beginning of both the Biblical Book of Esther and the Book of Judith. So naturally it surprised me when – visiting NYC’s Metropolitan Museum of Art last Saturday, September 17 – I came across two paintings that tied right in with those readings. That is, on Saturday, September 17 – after taking the Staten Island Ferry (shown above left) – we visited the “Met,” in New York City. That’s when I saw the two paintings at the top and bottom of this page: Esther before Ahasuerus, and Judith with the head of Holofernes. Here’s what happened. Ahasuerus was the king of Persia. (He was also known as Xerxes.) One day he got drunk with his buddies. He then sent for his wife – Queen Vashti, who was very beautiful – with orders to come to the party and strut her stuff. But she refused – she was very proud – so Ahasuerus decided to get rid of her. For one thing, Esther finally told the king she was Jewish. 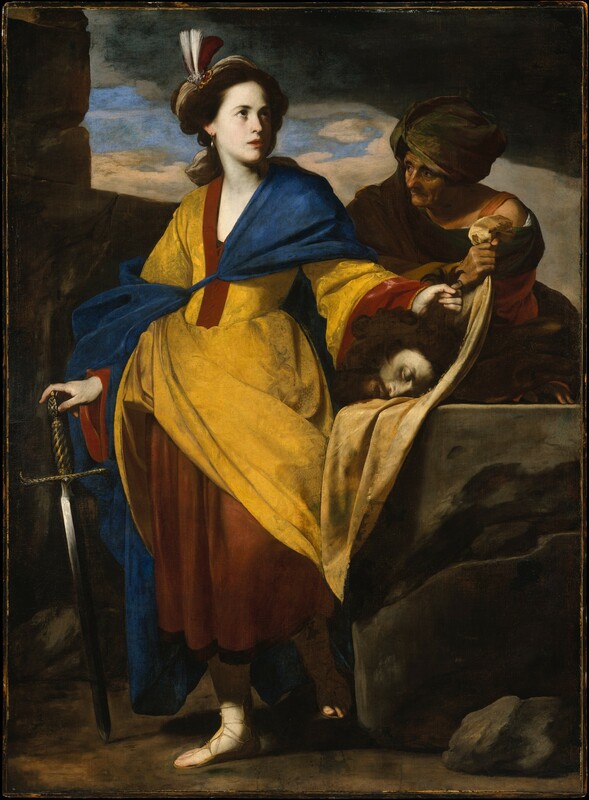 The story revolves around Judith, a daring and beautiful widow, who is upset with her Jewish countrymen for not trusting God to deliver them from their foreign conquerors. She goes with her loyal maid to the camp of the enemy general, Holofernes, with whom she slowly ingratiates herself, promising him information on the Israelites. Gaining his trust, she is allowed access to his tent one night as he lies in a drunken stupor. She decapitates him, then takes his head back to her fearful countrymen. The Assyrians, having lost their leader, disperse, and Israel is saved. Deborah, a prophetess and judge, advises Barak to mobilize the forces Naphtali and Zebulon on Mount Tabor to do battle against King Jabin of Canaan. Barak demurred, saying he would go, provided she would also. Deborah agreed but prophesied that the honor of defeating Jabin’s army would then go to a woman. The “Haman’s plans” image is courtesy of Haman (Bible) – New World Encyclopedia. 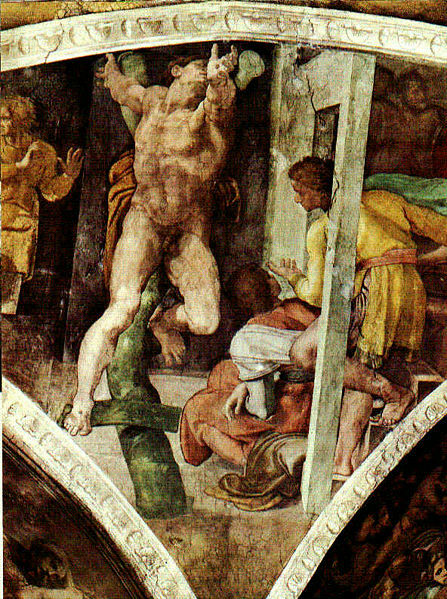 The caption: “‘The Punishment of Haman,’ by Michelangelo.” See also On the Bible readings for September 27. Re: The Bible and women as leaders. See also Backlash: The Undeclared War Against American Women, which may turn out to be not such a good idea, considering the three stories noted above. The lower image is courtesy of Artemisia Gentileschi | Esther before Ahasuerus | The Met. This entry was posted in Daily Office readings on September 22, 2016 by dorscribe@aol.com. The next major feast day – after September 14’s Holy Cross Day – is September 21, for St. Matthew, Evangelist. I wrote about him and his feast day in On St. Matthew – 2015. (Which included the image at right, of Matthew as an old man.) Back in 2014 I posted On St. Matthew. Thus, throughout the Gospels, we find tax collectors (publicans) mentioned as a standard type of sinful and despised outcast. Matthew brought many of his former associates to meet Jesus, and social outcasts in general were shown that the love of Jesus extended even to them. Matthew is first of the gospels in the New Testament because, according to early tradition, it was the first to be written. This, however, is now doubted by nearly everyone. The honor of primacy is generally granted to Mark, which is the second gospel in the Bible as it stands. That is, for many centuries the Early Church Fathers pretty much neglected Mark’s Gospel. St. Augustine for one called Mark “the drudge and condenser” of Matthew. As a result of that conclusion – that Mark wrote the first Gospel – since the 19th century Marks’ “has become the most studied and influential” of the four Gospels. There’s an object lesson there, and it probably has to do with the value of teamwork. 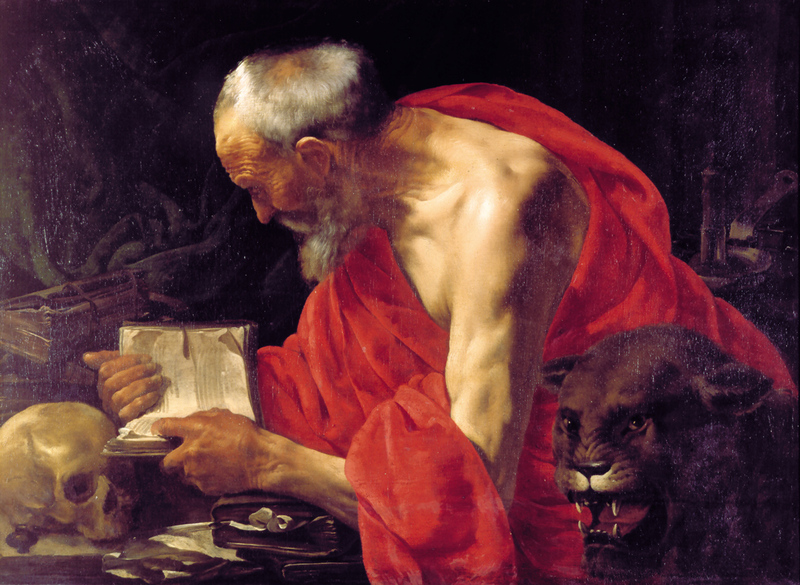 The upper image is courtesy of Brugghen, Hendrick ter – The Calling of St. Matthew. See also Matthew the Apostle – Wikipedia, the free encyclopedia. 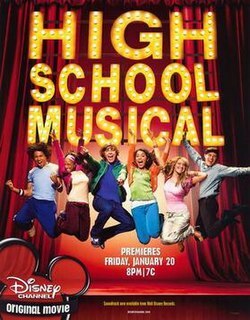 Re: “We’re all in this together!” The link is to the lyrics from a song in the 2006 High School Musical. (See Wikipedia.) But the larger meaning has to do with the current process of electing a new president, for a term to begin in 2017. And that’s not to mention political gridlock in general. This entry was posted in Feast Days on September 15, 2016 by dorscribe@aol.com. As the last post noted, it’s been a busy several weeks since July 23, when I left God’s Country. (The ATL.) I spent almost six weeks hiking the Chilkoot Trail – “meanest 33 miles in history” – and canoeing 440 miles on the “mighty Yukon River.” I got home on August 29, and since then have written one post, “Back in the saddle again,” again. It also tells what David did to Uriah the Hittite, Bathsheba’s husband. (After he – David – got her pregnant.) When Bathsheba told him about that, David had Uriah brought back from the war and tried to trick him into knowing her in the Biblical sense. (That way, Uriah would think that the kid was his.) When that didn’t work, David basically had Uriah killed. (But he made it look like an accident.) And it was because of all this that David wrote Psalm 51, “by any measure, one of the best-known and most often read penitential texts” in the Bible. But from there this Sunday’s Bible readings get a lot more cheerful. As far as feast days go, coming up on September 14 is Holy Cross Day. As Wikipedia noted, “there are several different Feasts of the Cross, all of which commemorate the cross used in the crucifixion of Jesus.” And within the Church as a whole – Eastern and Western – such Feasts of the Cross are celebrated on various days: like October 12, March 6, May 3, and August 1. See the day’s Bible readings – in the “RCL” – at Holy Cross Day: Isaiah 45:21-25, Psalm 98, Philippians 2:5-11, and John 12:31-36a. Of particular interest is Psalm 98:1, “Sing to the Lord a new song, for he has done marvelous things.” I noted the implications of Psalm 98:1 in the post, Singing a NEW song to God. According to legends that spread widely, the True Cross was discovered in 326 by Saint Helena, the mother of the Roman Emperor Constantine the Great,* during a pilgrimage she made to Jerusalem. And speaking of pilgrimages: Of course the two I went on this summer weren’t close to being like going to Jerusalem. However, for next summer – or more precisely, September 2017 – my brother and I plan to hike the Camino de Santiago, mostly in Spain. Pretty Bathsheba has finished her bath. 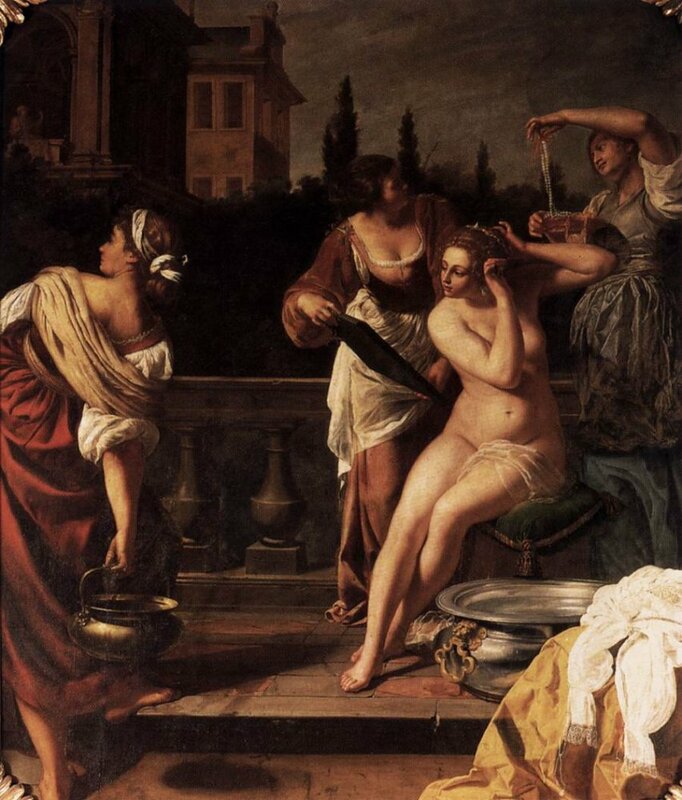 She is fixing her hair, using the mirror held by a servant… Perhaps she has already received King David’s message. David has been watching her from his balcony (top left) and asks her to pay him a visit. Turning to the other notes, an asterisk (“*”) in the main text indicates that a word or two of explanation will be made in these notes. For example, about “Psalm 51. *” On many Sundays the Revised Common Lectionary has two “tracks,” or two sets of Bible readings to choose from. (At the same time, usually the second – New Testament – reading and Gospel reading are the same for both Tracks, as for September 11, 2016.) On that note, the church I attend usually follows Track 1, but Psalm 51 – listed on “Track 2″ – is much easier and much more interesting to write about. 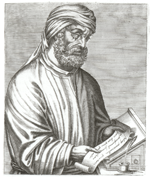 The image of Tertullian is courtesy of EarlyChurch.org.uk: Tertullian of Carthage (c. 160 – 225). The lower image is courtesy of Camino de Santiago – Wikipedia. This entry was posted in Feast Days, Sunday Bible readings on September 10, 2016 by dorscribe@aol.com. But once again we digress. We were speaking of pilgrimages. More to the point, of why an otherwise-relatively-sane 65-year-old would either hike the Chilkoot Trail or spend 12 days canoeing 440 miles on the Yukon River. That of course brings up St. James the Greater, seen below right and again at the bottom of the page, just above the Notes. 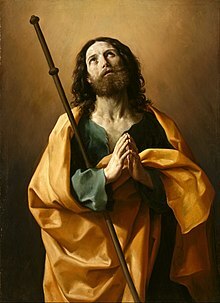 And St. James is the Patron Saint of Pilgrims. A pilgrim … is a traveler (literally one who has come from afar) who is on a journey to a holy place. Typically, this is a physical journeying (often on foot) to some place of special significance to the adherent of a particular religious belief system. In the spiritual literature of Christianity, the concept of pilgrim and pilgrimage may refer to the experience of life in the world (…as a period of exile) or to the inner path of the spiritual aspirant from a state of wretchedness to a state of beatitude. Finally, the book noted that such a pilgrimage can be “one of the most chastening, but also one of the most liberating” of personal experiences. I did not want to surrender fierceness for a small gain in yardage… If this projected journey should prove too much then it was time to go anyway. I see too many men delay their exits with a sickly, slow reluctance to leave the stage. It’s bad theater as well as bad living. Re: “Mostly in Spain.” As noted in Camino de Santiago (route descriptions), there are a number of routes – both inside and outside of Spain – by which such pilgrims may “walk for weeks or months to visit the city of Santiago de Compostela.” (In northwestern Spain.) And the “Original Way or Camino Primitivo,” begins in Oviedo,” in northeastern Spain. The lower image is courtesy of Robert Louis Stevenson Trail – Walking in France. This entry was posted in Pilgrimage on September 9, 2016 by dorscribe@aol.com.